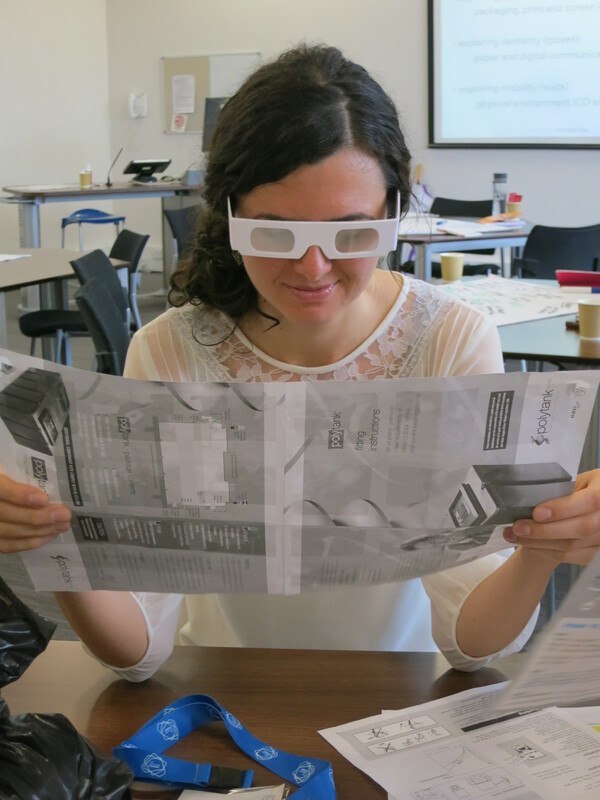 Trying to read an instruction leaflet while wearing simulation glasses. With her vision impaired, she hasn’t yet noticed that she is holding the leaflet sideways. This morning, our BdB team led our first staff development workshop for staff across the University. The workshop, ‘Educating for 21st-century lives: a practical and inclusive approach’, explored the importance of embedding inclusive design in our curricula, the value of this for employability, and the role of simulation tools in developing awareness and understanding. In the first part of the workshop, participants considered ways in which they can embed inclusive design in their curricula and activities. 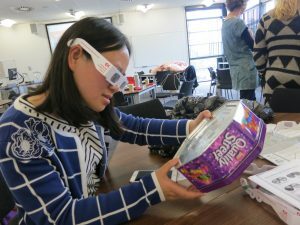 Thereafter, they had fun exploring the impact of different kinds of impairments on everyday activities, using the simulation equipment we have invested in. These include: bariatric and geriatric suits, simulation gloves, and glasses simulating a range of visual impairments. Participants considered different applications of inclusive design from the built environment to design for digital and printed communications and packaging. 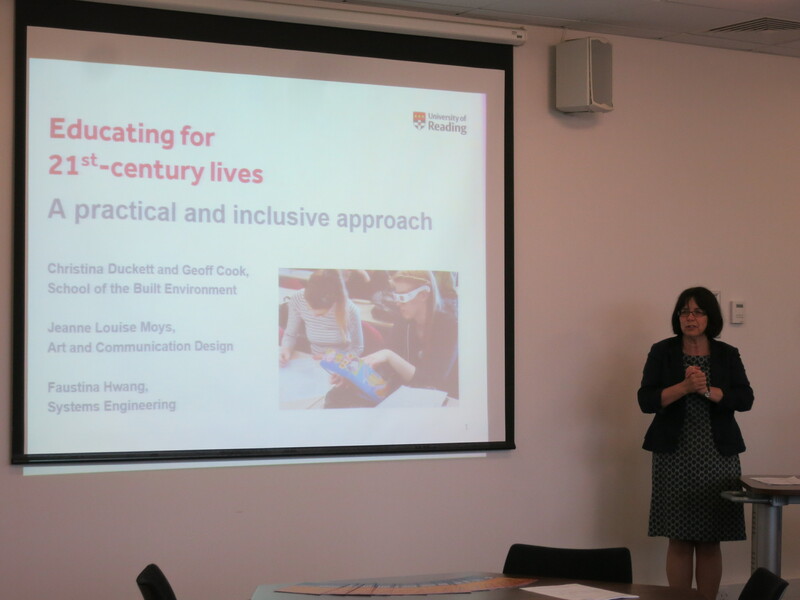 At the end of the workshop, we discussed ways in which we can collaborate on new initiatives to promote best practice in inclusive design across the University.